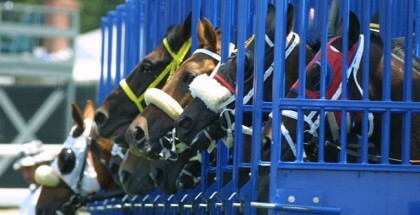 Expectations are always high when a horse is purchased for several hundred thousand dollars. However, those expectations don’t always come to fruition. 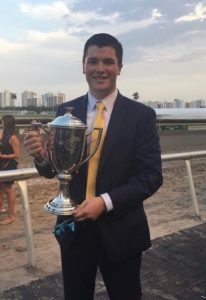 For Matthew O’Connor, the 19-year-old nephew of Anthony Bonomo, a part-owner of Florida Derby (GI) winner and leading Kentucky Derby (GI) candidate Always Dreaming under the name of Brooklyn Boyz Stable, seeing the son of Bodemeister develop into what he is today has been what can only be described as the ride of a lifetime. In the spring and summer of 2016 before entering his freshman year of college, O’Connor worked in the barn of Dominick Schettino, who at the time trained Bonomo’s horses and managed Always Dreaming’s early prep before the colt was sent to trainer Todd Pletcher. O’Connor happily recalls the day that year’s 2-year-olds arrived at Belmont Park and the day he first saw Always Dreaming. Impressive observation, considering that among the 2-year-olds who arrived at Belmont last spring with Always Dreaming were stakes were stakes winner Toni Tools and stakes-placed Tellmeafookystory. Right away, Always Dreaming displayed every good trait a horseman wants to see in a young horse, completing every task that was put in front of him with ease. O’Connor affectionately nicknamed the then unnamed colt ‘Lil Bode’ and just a week after arriving at Belmont, told his Uncle that he believed that without a doubt ‘Lil’ Bode’ was going to be a legitimate Kentucky Derby contender. “(I said) this was the one he’d been waiting for, this is the one that is going to take us everywhere we want to go,” O’Connor remembered. When the colt was given the name ‘Always Dreaming’ and his new halter nameplate came in, O’Connor popped off the old one — which read his pedigree line “Bodemeister-Above Perfection — and replaced it, putting the old one on his keychain, knowing how special he was. O’Connor recalled a special summer morning at Saratoga after the colt had completed his morning training. O’Connor also recalled the mornings at Saratoga when he would walk the colt from his barn on the Oklahoma side to the main track. That August morning, Always Dreaming worked a half-mile in a very impressive :46.93. Fast forward eight months and Always Dreaming is now three-for-three this year, including his effortless win in the Florida Derby. Many people connected to runners are nervous on big race days, but O’Connor wasn’t as the colt headed into the Sunshine State’s signature Derby prep on April Fool’s Day. And when Florida Derby post time came, it was total serenity for O’Connor. The greatest pride for O’Connor, though, came in taking the moment in. 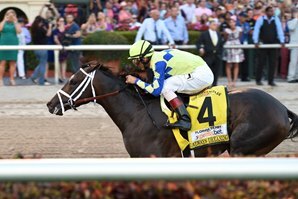 The manner in which Always Dreaming won was not even the most impressive thing about the Florida Derby for O’Connor. When asked about the thought of winning the Kentucky Derby, O’Connor said he’d be overwhelmed with happiness for his uncle and the colt’s other partners. Always Dreaming went to the Churchill Downs main track to train for the first time Wednesday morning after arriving from Florida on Tuesday. The colt galloped twice around the main track, but having not trained for two days, he was more than keen for most of his gallop and gave his exercise rider all she could handle, tossing his head and pulling hard in the early going. However, he got over the track exceptionally well and settled nicely in the later stages of the gallop. Trainer Todd Pletcher said Always Dreaming will go to the track twice more before having his final breeze for the Kentucky Derby on Saturday. 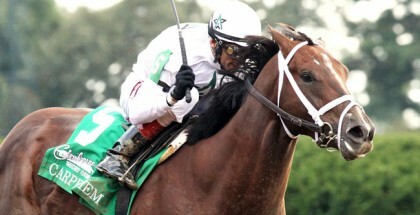 Do Speed Figures Matter in the Kentucky Derby?